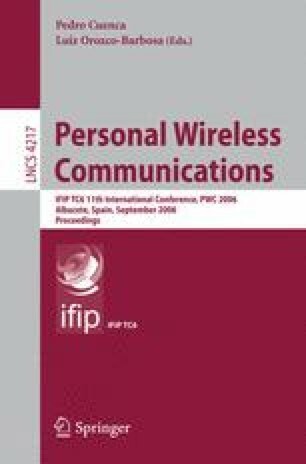 In recent years there has been an explosive growth on the use of wireless video communications. Despite much research in this field, the deployment of effective QoS-aware real-time video services over wireless channels remains a challenging task. In this paper, we first introduce and describe an overall system architecture capable of offering true end-to-end QoS guarantees to MPEG-4 video services running over TDMA/TDD wireless networks. The proposed system architecture is built by integrating two key system elements: a set of control mechanisms and various error resilient techniques. After reviewing the various system elements, we evaluate the use of the various mechanisms. We show the effectiveness of the proposed architecture in terms of various metrics. Our results show that the video quality as perceived by the end user can be significantly improved by making use of hierarchical video coding techniques. This work was supported by the Ministry of Science and Technology of Spain under CICYT project TIC2003-08154-C06-02 and the Council of Science and Technology of Castilla-La Mancha under project PAI-06-0106.